When darkness closes in―he's your last, best hope. 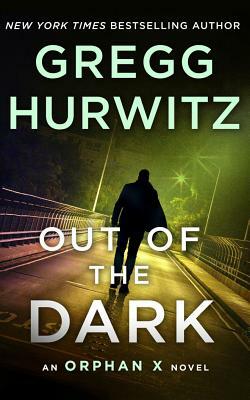 Evan Smoak returns in Gregg Hurwitz's #1 international bestselling Orphan X series. Taken from a group home at age twelve, Evan Smoak was raised and trained as part of the Orphan Program, an off-the-books operation designed to create deniable intelligence assets―i.e. assassins. Evan was Orphan X. He broke with the Program, using everything he learned to disappear and reinvent himself as the Nowhere Man, a man who helps the truly desperate when no one else can. But now Evan's past in the Orphan Program is reaching out to him. But President Bennett knows that Orphan X is after him and, using weapons of his own, he's decided to counter-attack. Bennett activates the one man who has the skills and experience to track down and take out Orphan X―the first recruit of the program, Orphan A. With Evan devoting all his skills, resources, and intelligence to find a way through the layers of security that surround the President, suddenly he also has to protect himself against the deadliest of opponents. It's Orphan vs. Orphan with the future of the country―even the world―on the line.